Over a year ago, I provided a favourable review of the first seven novels of Alex Berenson’s well-crafted John Wells saga. Counterfeit Agent (G.P. Putnam’s Sons, 2014) is the eighth instalment and it does not disappoint. It may be the best novel in the series in part because it is timely. 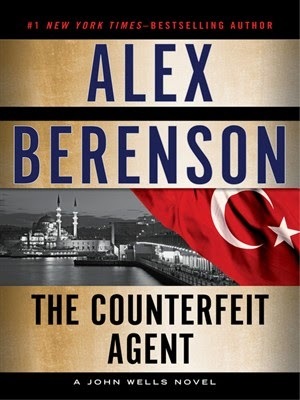 The writing is also crisp, the scenes in a range of foreign locales—South Africa, Istanbul, Thailand, the Philippines, Guatemala and Panama—are believable and compelling, the plot is plausible and the secondary characters are especially well-drawn.When Duto receives a tip from a former associate that —allegedly a CIA case officer—is out to assassinate a station chief, he decides to call Wells, whom he has exploited, undermined and abandoned in the past, to ask for a meeting. In the meantime, the agency station in Istanbul has been talking to an anonymous source who claims to be a Revolutionary Guard colonel. The source mentions an attack on a CIA station chief and insists his fellow Iranians are behind the plot. When the attack happens, the agency takes the source’s next claim—that the Iranians are planning to smuggle enriched nuclear material into the U.S.—very seriously. 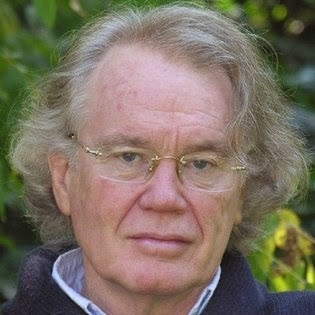 America is edging towards war with Iran but there is some doubt that the Iranians are behind this exceedingly dangerous operation. What state actors would benefit from this war? Israel or Saudi Arabia might but would they risk the disastrous blowout if their involvement ever became known? Wells, who has often worked outside the purview of the CIA, is recovering from physical and emotional wounds and is considering abandoning his former career, settling down and marrying his girlfriend. But when he receives that call, the old adrenaline kicks in and he cannot resist another mission even if it means ending his personal relationship and risking again his life. There’s a deep-throated Iranian military officer nicknamed “Reza” stationed in Turkey whose information has lent the plot desperate urgency, and Wells has the task of finding out whether or not he is authentic, and, as usual, nearly dies in the process. 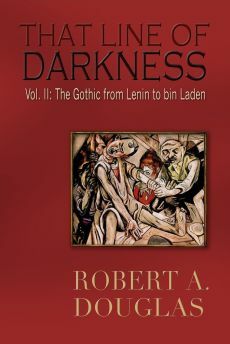 Berenson is particularly good at delineating the character of the former CIA officer and filling in his backstory. His treachery is rooted more in personal and psychological factors and less in ideological and political considerations although his resentment was fuelled by failing to be promoted within the CIA. When we become familiar with his family background, his behaviour toward women when he was an operative, and the intensity with which he can nurse a grudge for years over a sense of personal betrayal and crave the opportunity for revenge, we are not really shocked when he commits his first killing. He has a predisposition for becoming a criminal psychopath. The sinister and shadowy woman who recruits him is able to gauge his destructive potential and is able channel that rage to serve her ends. Berenson only hints at her backstory in the closing pages which sets him (and us) up for another sequel. One final note before leaving Counterfeit Agent: Berenson creates two vivid scenes in the Oval Office and a third somewhere in the White House where the (unnamed) incumbent is trying to assess the intelligence that he is receiving about Iranian nuclear material apparently about to arrive on American territory. The President is actively engaged as he fires off direct questions to his security advisors; these scenes reveal that he does not suffer fools gladly. The portrait presented in the novel is in sharp contrast to a dithering president that the media created earlier this year. From what we know about Obama now as he has worked out his strategy for degrading ISIS, Berenson’s thumbnail sketch of him seems not only more accurate but prescient considering the skill he has demonstrated in forging a major American-led alliance against ISIS. 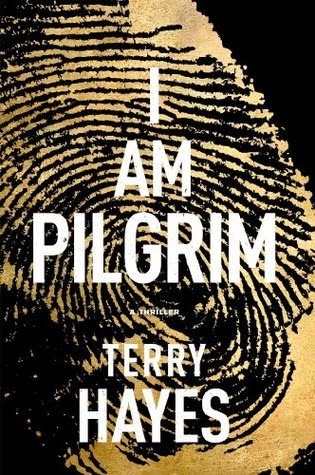 Anyone who has even a scant interest in geo-political thrillers has probably heard of this summer’s hefty blockbuster, I Am Pilgrim (Bantam, 2014) by the Australian, Terry Hayes, formerly a screenwriter of action films (The Road Warrior, Payback). Hayes gives us a haunted hero, code-named Pilgrim, who admits early on that the people who recruited him for an elite spy-catching unit based in Berlin realized that his soul was damaged after his single mother was murdered in their Detroit apartment. Adopted in childhood by a wealthy Connecticut family, his mother dismissed him but he developed a strong bond with his father who provided him with a moral code that enabled him to sustain both loyalty and an intense cross-cultural empathy yet at the same time becoming an assassin in the service of his country. In Moscow, for instance, he recounts, “even though I was young and inexperienced, I killed my boss like a professional.” Even though he is now burned out and wants to come in from the cold and retire from the top echelon of ultra-secret espionage, it is because of his skill set that he is summoned to the White House and told he must find and destroy a terrorist known as “the Saracen” before this man inflicts a catastrophic biochemical plague upon America. Pilgrim will be answerable only to the President. The last part of the book turns into a race against the clock, not unlike the heart-throbbing scenarios of the television series 24. Pilgrim’s nemesis, or to be more precise his doppelganger, codename Saracen, has created a strain of small pox with which he hopes to destroy America, a plotline that initially bears some resemblance to Berenson’s first Wells’ novel, The Faithful Spy in 2006, in which the protagonist foils a biochemical attack in Times Square. And Wells and Pilgrim have much in common as special operators even though the former has managed—just—to maintain some personal connections, whereas, Pilgrim has none. Although the plotlines—and I have only discussed the main one because all the secondary stories are connected to the contest between Pilgrim and the Saracen—are interesting yet some of them could have been eliminated. The effect would have tightened the novel so the focus could be on the two antagonists as the depth and scope of Hayes characterisation of both Pilgrim and the Saracen is probably the strongest element of this book. What is most intriguing about Saracen is his backstory that explains his zealotry as a jihadist. When he was a child, he watched the public beheading of his father in Saudi Arabia for disparaging the royal family. (According to Karen Elliot House, an expert on Saudi Arabia, the Kingdom has beheaded one thousand people in the last two decades.) That execution was the beginning of Saracen’s radicalization, sharpened by a train of events—visits to the local mosque, the rejection of his mother for becoming too Westernized, years of training in Afghanistan and the death of his wife who was killed by a ''Zionist rocket''—that turn him into a jihadist bent on vengeance, first against the “near enemy,” Saudi Arabia; and the “far enemy,” America, for propping up the Kingdom. It is again important to note that personal reasons, later rationalized by religion, set him on his two-decade goal to strike at America and avenge the death of his father. To ensure that he can function below the radar of the different intelligence agencies, the Saracen becomes a chameleon. He can move easily from being a seemingly humanitarian doctor in strife-torn areas into an almost invisible street-dweller or manual labourer. In the remote Hindu Kush Mountains of Afghanistan, he experiments on human guinea pigs and perfects a new, improved strain of plague that is vaccine-proof. As he narrowly escapes Australian troops, he leaves behind the charred remains of three kidnapped aid workers in a fresh, shallow grave. Among the ashes, the troops uncover a saddle blanket shred that later tests positive for a deadly infectious disease. It is that clue that summons Pilgrim to the White House where he is entrusted with the responsibility to find Saracen before he can put his deadly plan into effect. Similar to Saracen’s multiple guises, Pilgrim, who has assumed a variety of aliases throughout his life, at first pretends to be an FBI agent investigating the case of a wealthy American who has died under possibly suspicious circumstances by flying to Turkey and then to other Middle Eastern countries before the two meet in a showdown. What gives Pilgrim the edge—just—over his rival is that the American has no vulnerabilities, no personal connections, whereas, Saracen does have an Achilles heel. Despite the ghastly treatment Saracen inflicts on the innocent, and the not-so-innocent, demonstrating his inflexible credo that the ends justify any means, it is a sliver of his own largely repressed humanity that could bring his downfall. 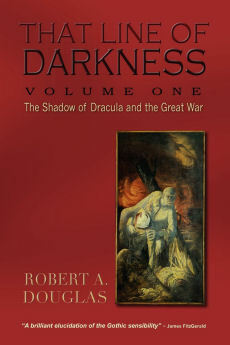 Unlike the villains in the Wells novels in which readers almost relish their demise because their humanity is bankrupt, we may be left wondering whether the special operators who toil on our behalf must surrender their humanity to be successful. Or is that prerequisite only a fictional trope?